After debuting on AT&T, then making its way to Verizon, the Moto X has reached the Now Network. Sprint's Moto X is on sale, and you can get a solid deal if you're coming over from a rival carrier. After the contract subsidy and a $100 port-in credit, you only have to pay $99 for the device. Not your situation? Sorry, that'll be $199. 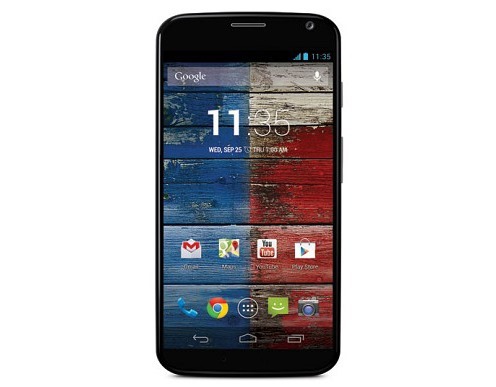 The Moto X is the first device from Motorola that is fully backed by Google. It runs atop the Motorola X8 computing platform, which enables those neat always-on features. The Moto X on Sprint does support LTE, but Sprint's LTE footprint is still tiny. Moto Maker is still exclusive to AT&T devices, so you can choose between the black or white device. Hey, at least you're not on T-Mobile where the Moto X may never be sold in stores.